Been waiting a long time for something as epic as this. 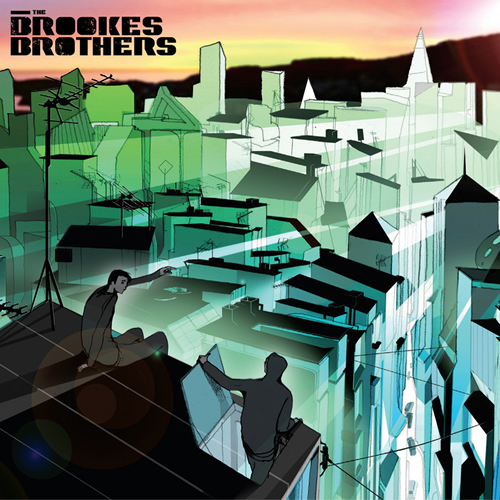 Loving the happy and finesse vibes of the Brookes Brothers, This really was a highly anticipated release but it defiantly lived up to the hype. In all honest every track is amazing its been on in my car for 4 days now an I just now noticed. The lads outta London are well dressed too, Lacoste cardigan on the right! EEEE wearing a Brooks Brothers shirt listening to this LP…too good. you truly are a B@ss or is that bass? where do you get the shirt from?? Awesome tracks, but the "lactose cardigan" should be Lacoste. lol bass with pizzazz I suppose. I don't know if red shirt is Brooks Brothers, I just happened to being wearing a navy blue Brooks Brothers gingham shirt while i was listening. Brookes Brothers remix Secondcity's "I Wanna Feel"